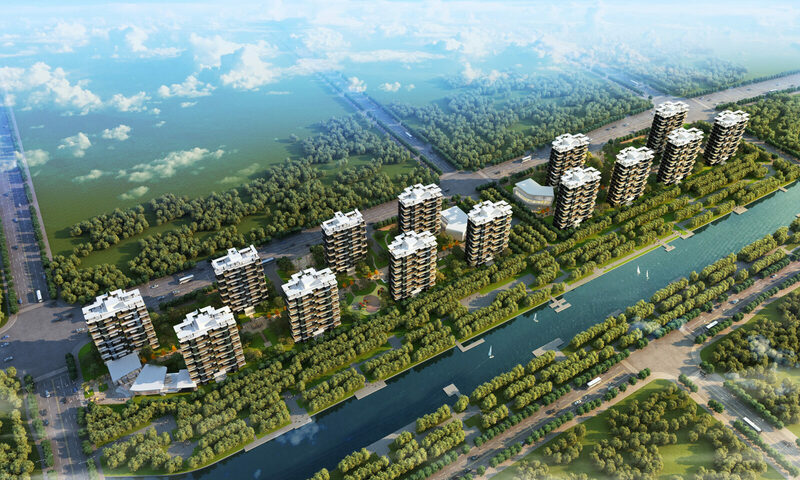 The Zhongmou Condo project is located east of the new district Zhengdong and south of the Zhengbian transportation channel with a large river running along the southern edge of the site. 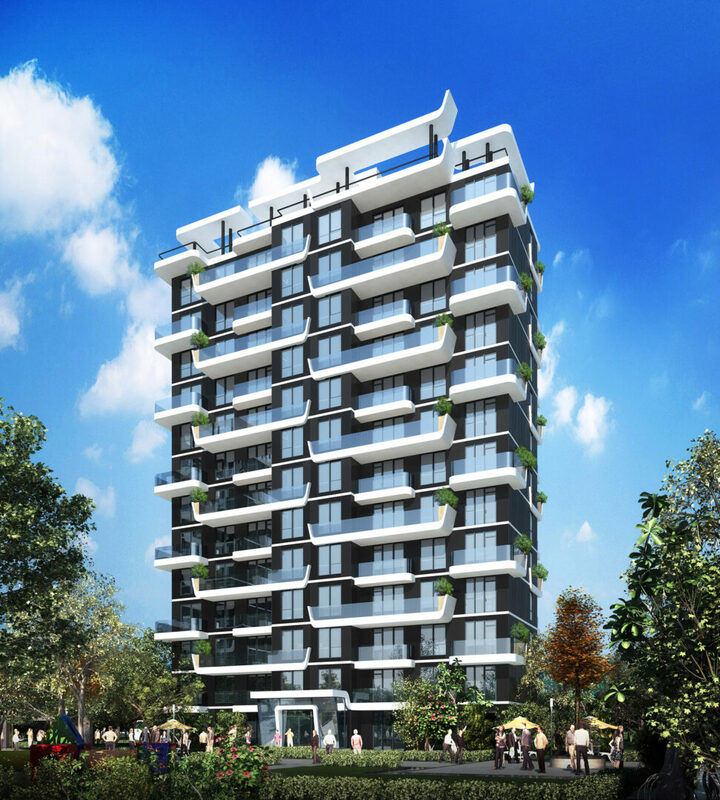 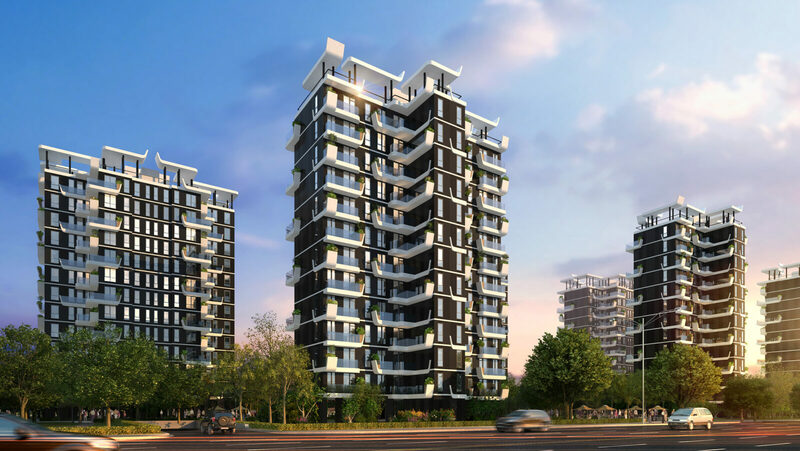 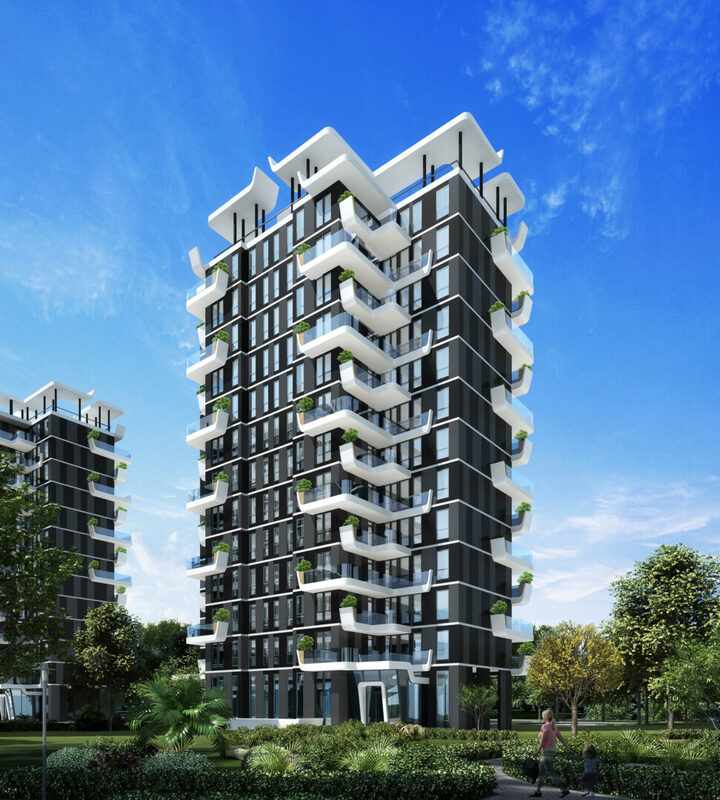 This is a residential project of high quality and low density. 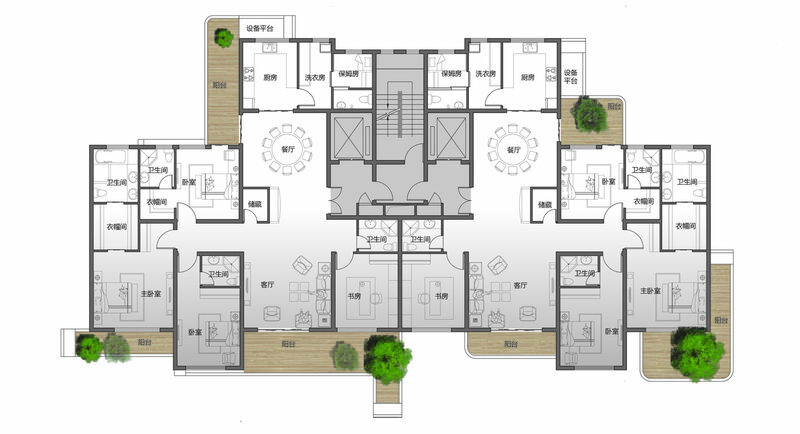 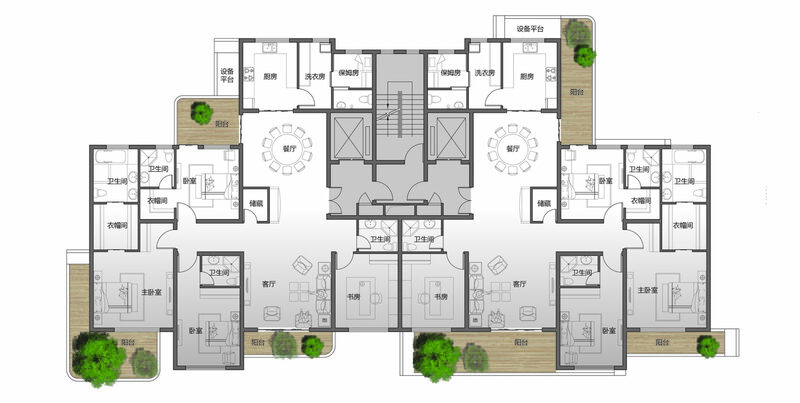 The typical unit areas are 165 M2 and 260 M2. 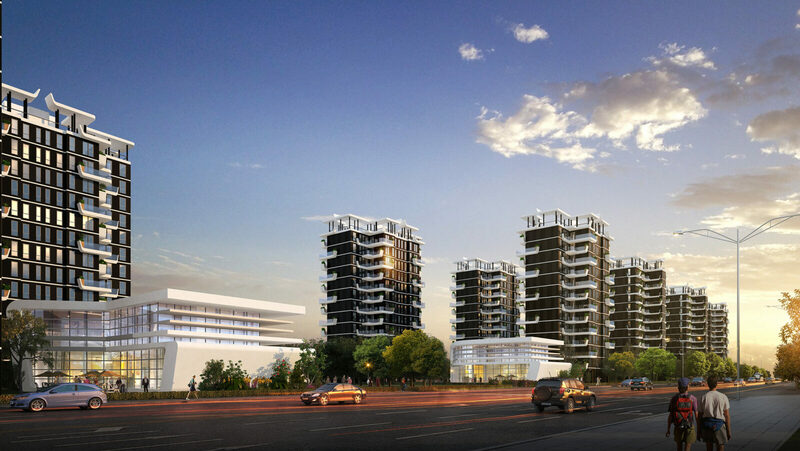 Each residential building is arranged on the site in order to maximize the views of the river for each unit. 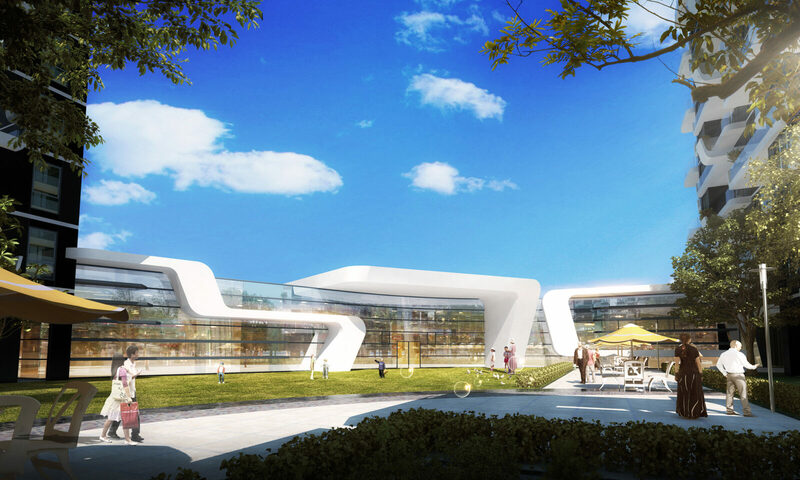 The four-season-farmland themed landscape creates a lot of opportunities for leisure activities and is a pleasant environment for its residents. 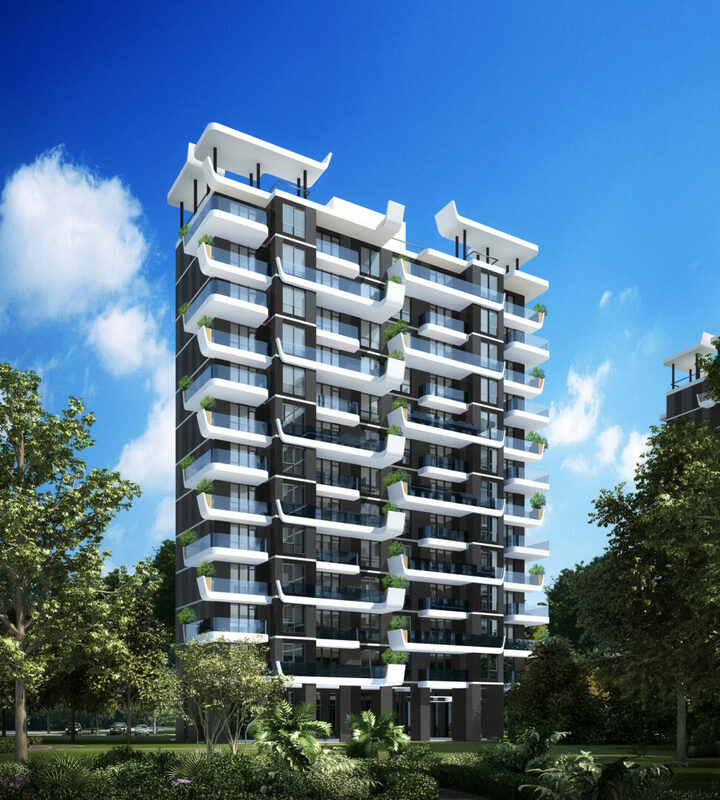 The building façade design continues the language of the Qingyu Condo project, which combines big waving patios with vertical landscape. 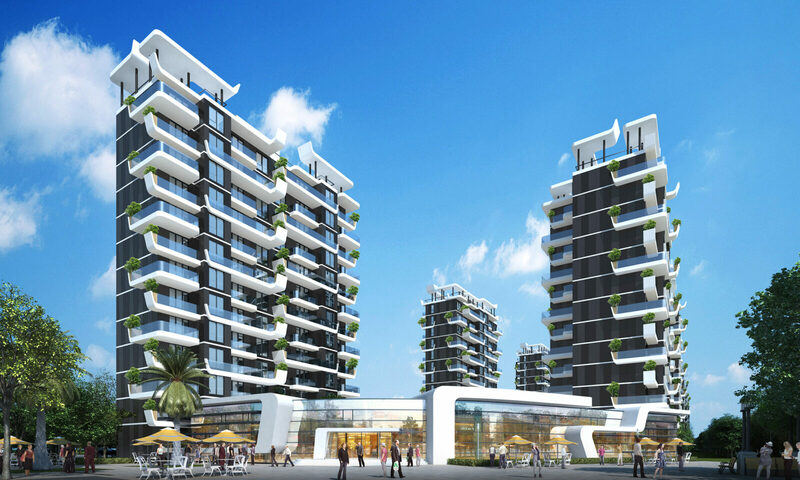 It highlights a visually dynamic balcony, which also brings people closer to the nature.